I’ve heard Essex is much like marmite- you either love it or you hate it. But it’s difficult not to love a county that houses new fresh and thrilling haunts like CTZN in Chelmsford. Situated at 19 Springfield Road it’s easy to spot; aside from its bold illuminated title above the entrance, just look for the venue with a lengthy queue outside its doors and you’re in the right place. Unveiled after months of creative genius and hard work, CTZN is now one of the busiest clubs in the area, and doesn’t show any signs of slowing down. Providing a visually stunning setting that transforms from a Turkish Grill in the day to a ‘turnt up’ bar at night, CTZN calls it a classic location to “eat, drink and dance in lavish comfort” and who are we to argue? If you haven’t been, this isn’t one of those places you sit on your laurels about attending- round up your crew and head on down! CTZN introduces the West End’s sumptuousness to Chelmsford, earning itself a following of high profile celebrities and Essex A-Listers that have adopted the venue as one of their regular watering holes. It’s likely these big spenders are CTZN VIP, and you can be too. The perks include queue jumping (gone are your not-so-patiently waiting days) free entry for yourself and 10 guests and waitress service for the duration of your night. Spanning over two floors, with two club rooms blasting House, the latest anthems and RnB, CTZN makes it easy to enjoy yourself. Every Wednesday runs until 4:00am as a Student Friendly Night, with free entry before 11pm. £1.50 drinks deals are on offer all night [insert ghostly gasping emoji here]. 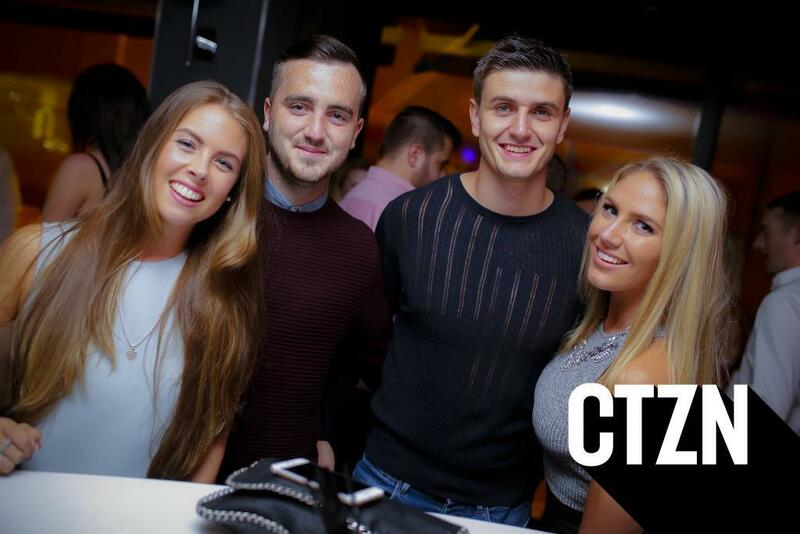 Saturdays at CTZN are said to be one of Chelmsford’s hottest nights out with free entry before 10pm and ending, like Student Friendly Wednesdays, at 4:00am. The extensive drinks menu features a unique selection of sense satisfying cocktails and impressive spirits, such as Don Perignon Magnum and the unrivalled Grey Goose Methuselah. But remembering this Chelmsford bar extends beyond merely an evening destination, CTZN can appease your urges of the day as well as those of the night, serving high grade Turkish cuisine from their charcoal grill-until late-seven days a week.